Chinese-owned Saab successor NEVS (National Electric Vehicle Sweden) has invested 150 million dollars to acquire 20 per cent of the shares in the Swedish sports car manufacturer Koenigsegg. The deal is part of a strategic partnership between the two manufacturers. The aim of NEVS and Koenigsegg is to jointly develop electrified cars and increase sales of hypercars in the future. Part of the agreement is also the establishment of a joint venture to expand into new market segments, in which NEVS holds 65 per cent and into which the group will pump another 150 million dollars in start-up capital. Koenigsegg mainly contributes intellectual property, technology licenses and product design – as well as holding the remaining 35 per cent of shares. 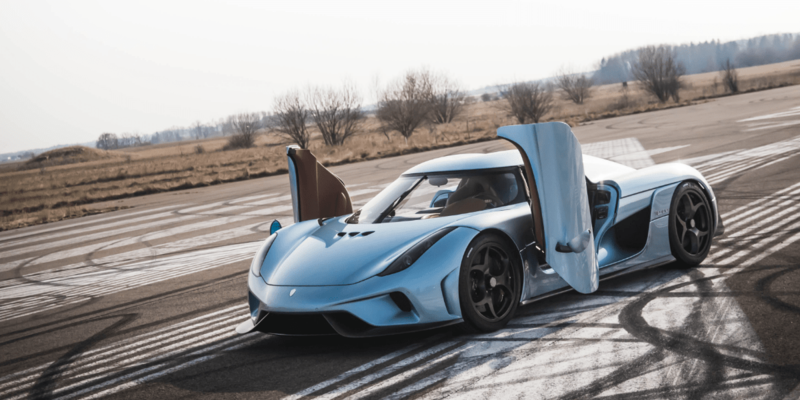 The partners also agree that Koenigsegg may use NEVS’s production facility in Trollhättan. Koenigsegg is a Swedish manufacturer of exclusive hyper vehicles founded in 1994 by Christian von Koenigsegg. The company employs slightly more than 115 people. At its headquarters in Ängelholm, Koenigsegg has, among other things, a competence centre which will be retained despite the agreement on future joint use of the NEVS factory in Trollhättan. “Koenigsegg is an enticing company developing advanced cars with unique technology and with a customer base,” stated Kai Johan Jiang, Chief Executive Officer of NEVS AB. He sees it as an important step to be able to expand investments in the Swedish automotive industry through a company “that we know and with which we have a strong relationship”. It was only in the middle of the month that it became known that Evergrande Health Industry Group, had bought into NEVS. Evergrande Health is a subsidiary of Evergrande Group, a Chinese real estate giant listed on the Hong Kong Stock Exchange. Evergrande acquired the majority of NEVS shares with 51 per cent. The previous main owner of was Kai Johan Jiang, who founded NEVS in 2012 from Saab Automobile’s bankruptcy assets. In the six years of its existence, NEVS has built a new car factory in the Chinese city of Tianjin, where series production of the all-electric NEVS 9-3 EV began in December 2017. In the summer of 2018, the company also opened a new vehicle plant including an innovation centre in Shanghai. NEVS’s production capacity will initially amount to 50,000 electric cars per year and will later increase to 200,000.